Mt. Sunapee is southern New Hampshire's biggest mountain. The ski resort is located in close proximity to Interstates I-89 and I-91. Sunapee is home to 66 trails spread out over 233 acres of skiable terrain and a 2,743 summit elevation. Sunapee averages 100 inches of average annual snowfall, but benefits from snowmaking on 97% of its terrain. Sunapee has been family operated since 1998 by Tim and Diane Mueller and offer a variety of lodging and dining options in the immediate Mount Sunapee region. 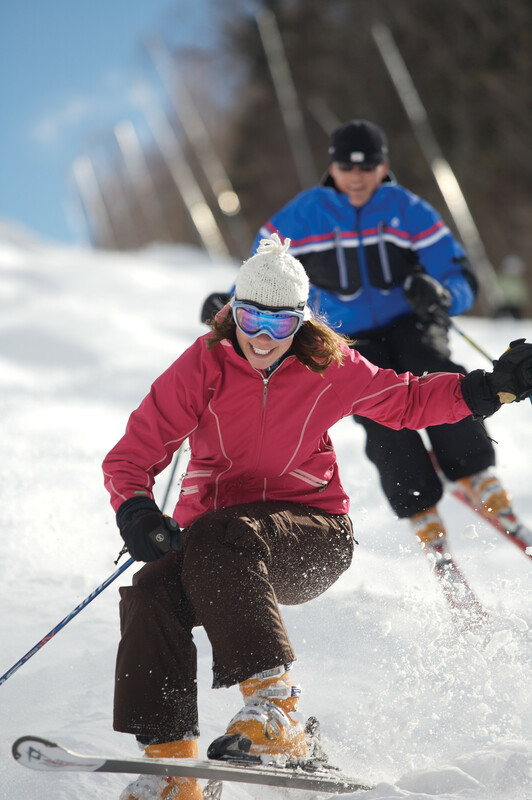 Mount Sunapee offers fine dining, shopping, casual pubs, movies, bowling, and plenty of night life. Group and private lessons.Child care, and children's programs are all available, ages 12 months to five years. Three cafeterias, lounge. Ski and snowboard shop, demo center, rental and repair shop, sundries shop, and learning center. Ski patrol, first aid, and a hospital 12 miles away. Ninety-seven percent snowmaking. A host of activities are available within the region. Get Snow Reports, Powder Alerts & Powder Forecasts from Mount Sunapee straight to your inbox!